You are here: Home › approaches to teaching › Let’s change the world! 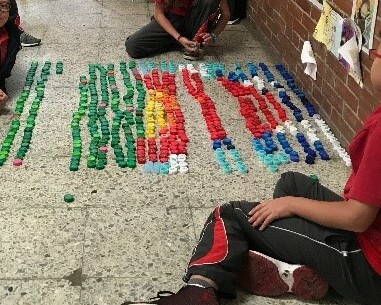 In this article you will read about fourth grade students choosing to contribute to the efforts of reducing the excessive use of single-use plastic, by giving advice to their families and reusing plastic caps to manufacture objects to cover some classroom needs. The IB Primary Years Programme (PYP) provides students with multiple opportunities to see, evaluate and solve real problems; problems they might have as individuals, as small groups or as a big community. Sometimes those problems can have simple solutions, such as making a change in their daily routines or giving healthy advice to family or friends. Action can start with little changes that are meaningful to at least one person and they can grow into ideas that can change the world one step at a time. Our fourth grade students inquired into the central idea: “People express their world’s perception through arts and science” under the transdisciplinary theme of “how we express ourselves”. During the unit, teachers provided the opportunity to participate in a talk with a biologist, who is an expert in arachnids. 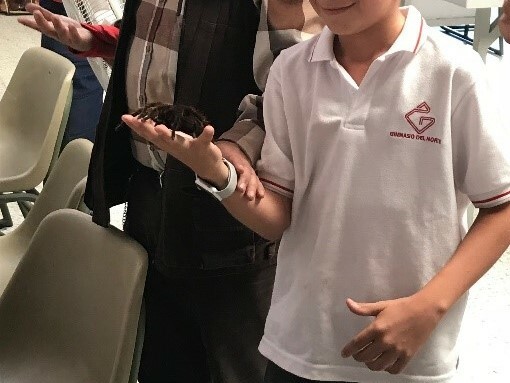 He did not only show them the importance of spiders and other arachnids in human lives, he also showed them how we are affecting different animals’ environments with the excessive use of plastic. They saw real images of what plastic is causing to different species worldwide and they reflected on their role in this significant issue. After learning about our part in contaminating or protecting the world and how spiders can generate various resources for people in artistic and scientific fields; students researched, as part of the unit, about colour and the use of natural and man-made materials. All the input they received in class inspired them to take ownership of their learning, so they started an independent inquiry about how humans are abusing the use of resources and then decided to focus on ways of preventing the unnecessary amount of plastic in our lives. 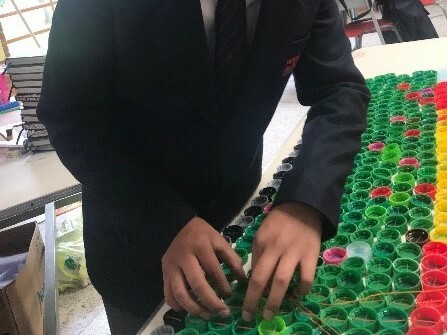 Along their independent inquiry, students learned that recycling is not the only way of minimizing plastic waste, they realized that reducing and reusing are also important contributions to that cause. Having all their findings and learnings in mind, they decided to act by reducing the need for single-use plastics. They started by reinforcing this idea at home, reminding their parents to always take multi-use bags to the market and to avoid buying packed products, especially fruits and vegetables. Students also decided to diligently follow the school’s initiative of bringing and using multi-use bottles for their drinking water and lunch juice. 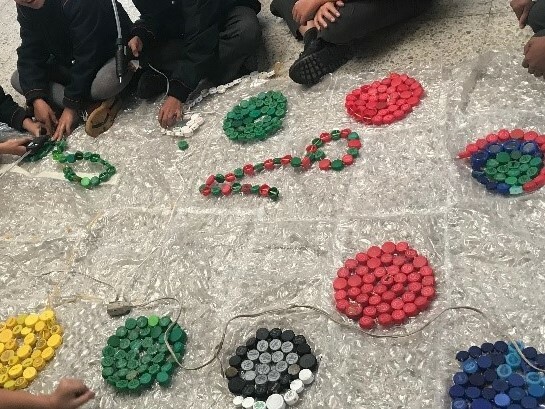 Finally, students reflected on the fact that they could do something useful with what they had learned from their inquiry and the already used plastic, so they started collecting plastic caps from their homes and school’s single-use bottles to give them a second life. The three groups of students organized themselves to decide on, design and elaborate a useful object for each classroom. They established roles: collectors, designers, workers or testers. Collectors gathered and organized the caps by size and color; designers conducted surveys about the needed objects, decided on them and planned their shape, color and design; workers put all the caps together and gave form to the objects; and testers assessed the objects’ function and resistance. 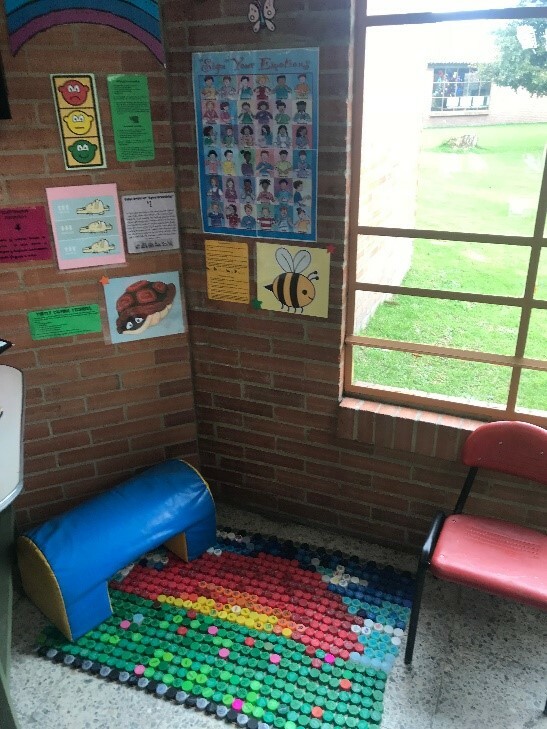 This process ended with the manufacturing of three products that covered some needs of the three classes: a reading corner rug, a wellness corner mat, and a lost and found box. The objects were presented to the rest of the PYP community to generate awareness about the plastic waste issue. At the end of the unit of inquiry, fourth grade students understood that arts and science can offer diverse opportunities to have a voice as inhabitants of this planet. They acted to take ownership in their own learning about their world, and to choose if they want to help solve the problem or if they want to continue being part of it. 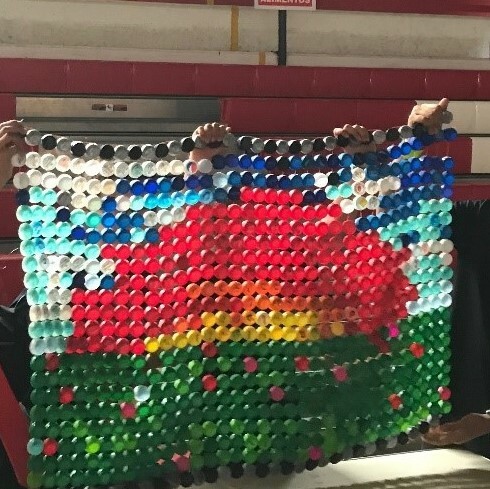 Their actions did not only solve a need they had in their classroom, they added in the efforts of many people in their determination of reducing plastic waste. Learners need to know that the contributions they make, no matter big or small, count; parents and teachers are there to guide them in the first step, because it is the most important act in their purpose of changing the world. 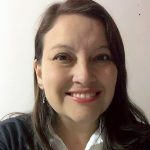 Marcela Solórzano Ortega has worked as a PYP teacher for nine years, inspiring her students to learn from experience and to use those learnings in their purpose of making a better world. She currently works as self-contained teacher at Gimnasio del Norte School in Bogotá in Colombia. Marcela holds a Licensure in Modern Languages from Pontificia Universidad Javeriana in Bogotá. You can follower her on Twitter @ElvesMarce. 3 Responses to Let’s change the world! Great efforts reflected by students. Big hands to curious minds of students and facilitators as well. You’re a great leader in our team! Awesome experience for our kids! Thanks for the idea! Your students have perfectly demonstrated the PYP relationship: the ability to cooperate, the ability to think creatively and creatively; Interdisciplinary skills: creative and design skills, working together in a group, developing a sequence of actions, drawing up a plan.